THE INSIDE SKINNY ON… Taking Your Yoga to the Next Level with Ankati Day! You’ve been hitting the mat regularly for a while—downward dog finally feels like a resting pose (sometimes), you can follow a creative flow, and you sink into savasana with a full-body exhale, knowing you’ve had a great practice. You’re ready to level up. But where do you start when you want to deepen your practice? Here are five ways you might not have considered to deepen – and widen – your yoga. There are eight limbs of yoga after all, and asana is only one of them! Most of us meet yoga through the body. We come to class to feel that post-yoga Zen, to stretch out those tight hamstrings, or in my case to heal an injury. Now that you’re pretty solid on your basic alignment, add the fourth and fifth limbs: pranayama (breath extension) and pratyahara (sensory withdrawal). Cultivate a more expansive breath by adding pranayama practices like alternate nostril breathing or 3-level breath after a flow, ideally with the guidance of your teacher. Trataka, or silent candle gazing, is a wonderful way to begin honing the focus of the mind for sensory withdrawal. We usually think of private lessons as remedial or for folks with injuries, but they can also be an incredible way to pick your favorite teacher’s brain about your alignment, a new pranayama practice, or why after so much practice you still struggle with something. Private lessons can also help you kick-start a home practice with a focus-area, guided by your teacher’s understanding of your practice, desires, anatomical needs/challenges, and even your personality. Slow down. Then slow down more. All too often we rush through certain aspects of our practice because we’ve done them one thousand times. But rushing through mean we miss out on some of the good stuff! Each week, choose a part of your practice to slow down to an extreme degree. Might I suggest you start with your vinyasa sequence, particularly your chatturanga to urdhva mukha svanasana (upward dog)? Slowing down offers an opportunity to fine-tune and shift our habitual misalignments, or to bring muscle groups online in a new way to support strong and spacious movement. Take a field trip to a different studio. Creatures of habit, anyone? There’s a beauty and power in diving deep with one instructor or style, but trying something new takes us out of our comfort zone and, hopefully, into a new level of insight. Hearing the different ways that teachers or lineages cue and approach the postures can completely change your practice for the better. I’ve hopped around from Ashtanga to Vinyasa, Yin, Iyengar, Forrest, Viniyoga, Buti Yoga, Kundalini — each has informed and shaped my practice in a beautiful way, including the recognition of ways of practicing that decidedly don’t work for me. You try, you learn. 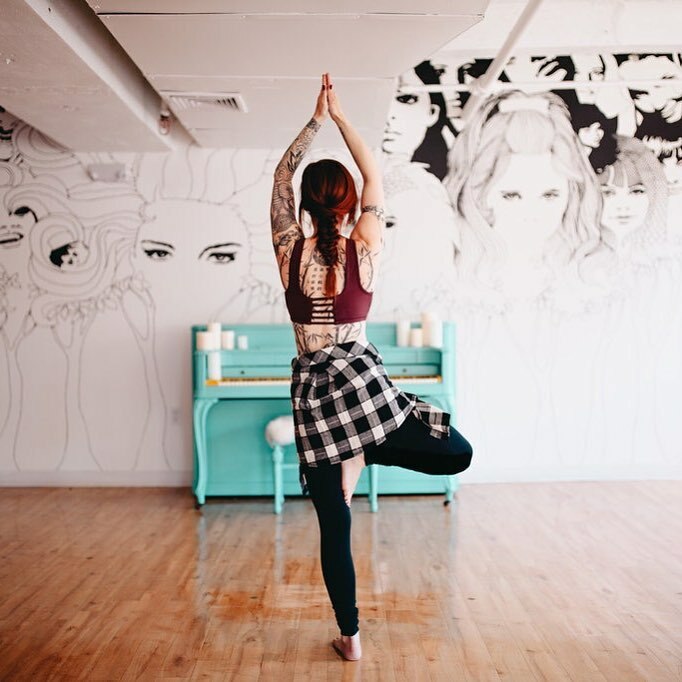 Ankati Day… yoga teacher at Barre & Soul. Dive in for 200 hours of yoga teacher training! When you’re ready to really go all-in, seek out a 200 hour yoga teacher training that speaks to what you desire from your practice. Some trainings are more intensely anatomy- and alignment-focused, some offer a more holistic approach. Whatever your flavor might be, a teacher training offers you the opportunity to immerse yourself in the history, philosophy, structure, and mystery of the practice in your own being under the guidance of an inspiring teacher or team of teachers. Whether you actually want to teach doesn’t matter: you will be transformed. There is no way around it. What do you think stops most people from taking the plunge to do YTT? What is the biggest biggest misconception? I think just about everyone feels like they don’t yet have enough experience to go through YTT – especially when it comes to the Yoga Sutras, anatomy, pranayama – it all feels foreign and overwhelming. Many people also assume they need to be “advanced” practitioners, meaning they can nail a handstand and do a full Hanumanasana split. The cool thing about YTT is that it starts at the beginning! We do expect yogis to have a level of familiarity with the practice, but an “advanced” practice is not required. In fact, many yogis come to YTT and realize they need to realign many of the most basic poses! What does every teacher trainee need to know? Attend a Yoga Teacher Training info session with Ankati at Barre & Soul this Wednesday at 8:00! Ankati Day is a Seacoast native who teaches Sacred Flow Yoga at Yogasmith in Portsmouth, Exeter, and Dover, as well as Core Vinyasa and BUTI Yoga at Barre & Soul in Portsmouth. Since the age of 18, her practice has evolved through many different flavors and styles, and she now weaves them together into a creative, inspiring, strong practice.